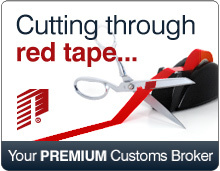 International Trade Compliance Consulting | Customs Consulting | USA | Pacific Customs Brokers Inc. In the current business climate of tighter border protection and security, Customs regulations are ever changing. Our team of trade compliance specialists will work with you to navigate the complex trade issues, giving you the ability to be more competitive in the marketplace and gain a positive relationship with both the U.S. Customs and Border Protection and Canada Border Services Agency. A variety of factors such as the complexity of the consulting services and the level of expertise required as well as the opportunity for on-going business play a role in determining our consulting fees. We are here to help guide you through the fast paced world of international trade. Whether you are just starting out or have an existing business, our experienced trade compliance specialists can assist you.